Starring – Ajju Lama, Rahul KC, Suman Lama, Suman Rana Magar, Laxmi Lama, Laxmi Luitel, Karan Crazy etc. A presentation of Raju Lama, for Liza Laxmi Movies banner, ‘Jyan Ko Baazi’ is an action movie. The movie features lyrics by Lalita Kuwnwar, music by Deepak Raman, story by Raju Lama, script and dialogue by Laxmi Khadka, action by Kumar Shrestha, choreography by Gobinda Rai, cinematography by Saroj Maharjan, editing by Roshan Lamichhane, producer is Laxmi Khadka. Starring – Sonam Thapa, Ranju Sharma, Manju Rasaili, Raju Lama, Krishna Lama etc. Nepali movie ‘Pida yo Cheli ko’ is a presentation of Cine Side Digital by producer Dinesh Lama. The 2015 movie is about the hardship of the life of women in Nepal. The movie features the editing of Kranti KC, and cinematography by Rameshowr Jirel. It has been a year since the marriage of actress Saranga Shrestha to Ramesh Karki. They got married on February 1, 2013. In the mean time, Saranga gave birth to a daughter in September of 2013. On the occasion of the anniversary, Saranga said, "A successful marriage requires falling in love many times, always with the same person." Starring – Raju Lama, Raj Timilsina, Noyo Singh, Prakash Mharjan, Suresh Manandhar, Hari Kadel, Keshab chhetri, Amir KC, Sunil Shrestha, Shankar BC, Fazir Miya etc. A presentation of Nexus films in association with Nexus FX 1, Nepali movie ‘Flight Number 187’ is the debut movie of singer Raju Lama as an actor. The movie is about foreign employment. Jeevan Lama also told that he has all the documents including agreement letter to prove the case. Raju Lama also responded to xnepali’s request to comment and told that he was paid to sing the song and he wasn’t involved in any other dealing. Jeevan Lama had released an album ‘Anubhav’ with the song “Lakhau Kosish … ” in 2002 (BS 2059) by Dhaulagiri Cassette Center. 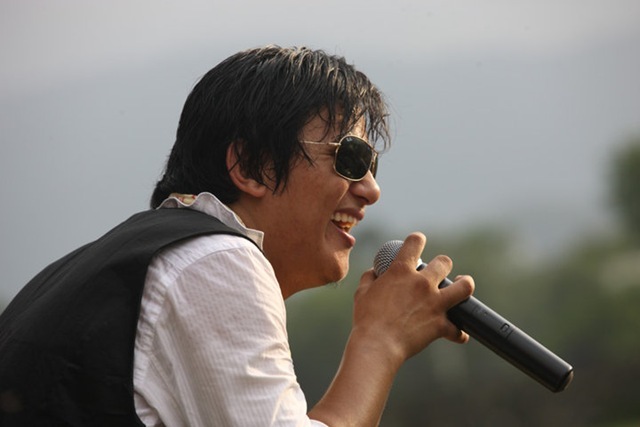 In 2010 (2067BS) the same song was released in the voice of Raju Lama as a part of the collection album of Indira Pun. Jeevan’s album was released in 2002 by Dhaulagiri Cassette Center. In Jeevan Lama version of the song music is composed by Dipendraman Singh but in Raju Lama version, the music is told to be composed by Saroj Lama. Canadian singer Bryan Adams is going to perfrom for about two hours in Dashrath Stadium, Kathmandu on February 19, 2011.
. The event starts at 3:00 PM with DJ session. At 5:00 PM Nepali national anthem will be sung. The Nepali bands 1974 AD, Namaste and Mongolian Heart will perform, for about half an hours each, untill 6:45 PM. At 7:00 PM Bryan Adams will start his live performance. The event will be wrapped up at 9:00 PM. 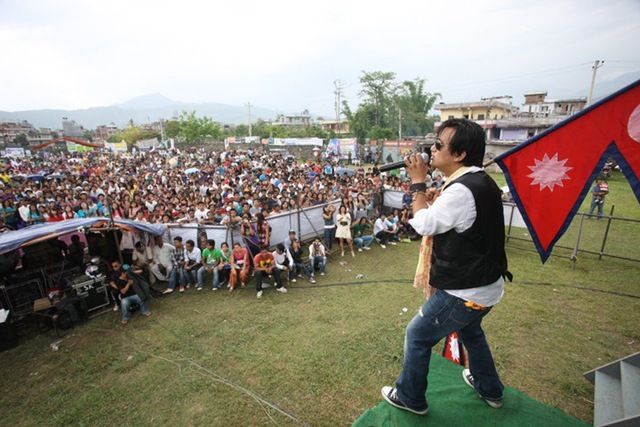 Raju Lama of Mangolian Hearts is coming travelling back from US just to perform in the event. The band will perform three songs. 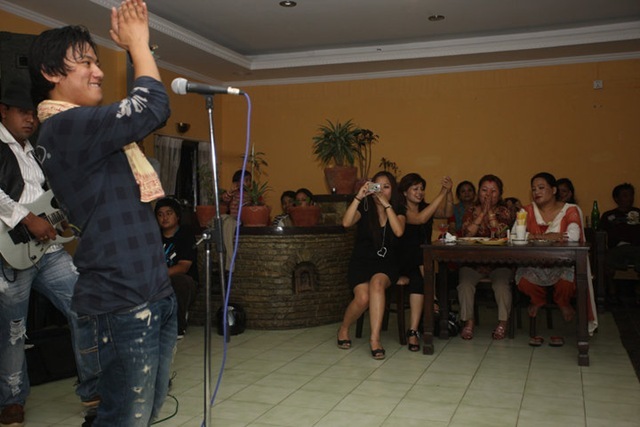 Ishwor Gurung of Namaste band will perform with a Japanese artist in the event. 1974 AD is going to perform four songs including "Yo man ta mero Nepali ho..". 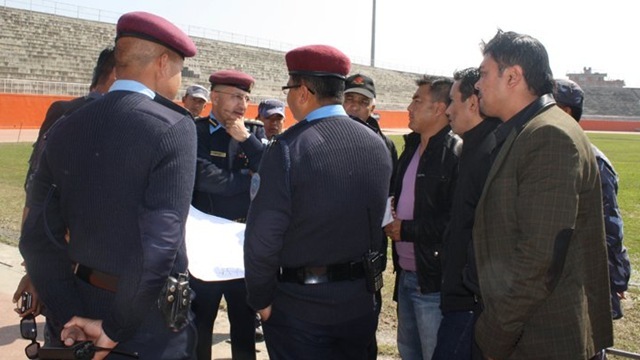 Security briefing at the stadium in preparation of the concert (photo source – Facebook). 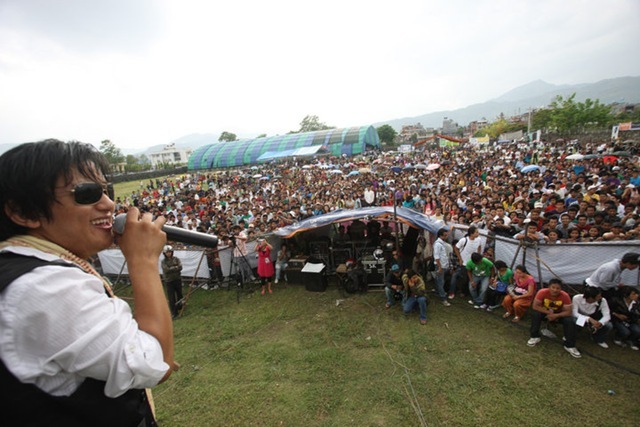 Some photos of Raju Lama’s (Mangolian Heart) program in Pokhara on June 5, 2010.